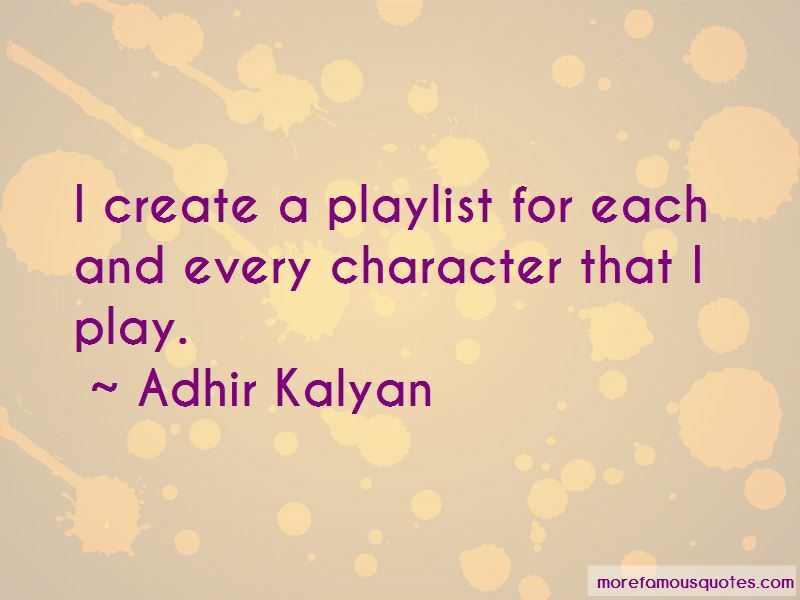 Enjoy the top 11 famous quotes, sayings and quotations by Adhir Kalyan. Growing up in this post-apartheid era, the first generation of teens in South Africa living in this new democracy, I often found myself feeling different. I was often the only person of color in an otherwise all-white school. And within the Indian community, because of my training with an English acting teacher, my accent was very different. The opportunity to completely become someone else and inhabit them is something that has always fascinated me greatly as an actor. With a bit of fortune, a few more of those opportunities will lie waiting for me in the future. I create a playlist for each and every character that I play. 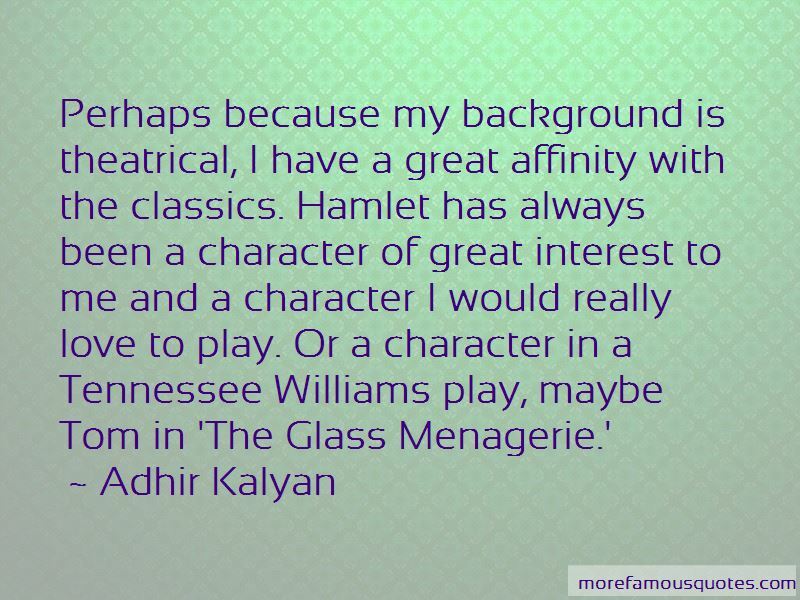 Want to see more pictures of Adhir Kalyan quotes? 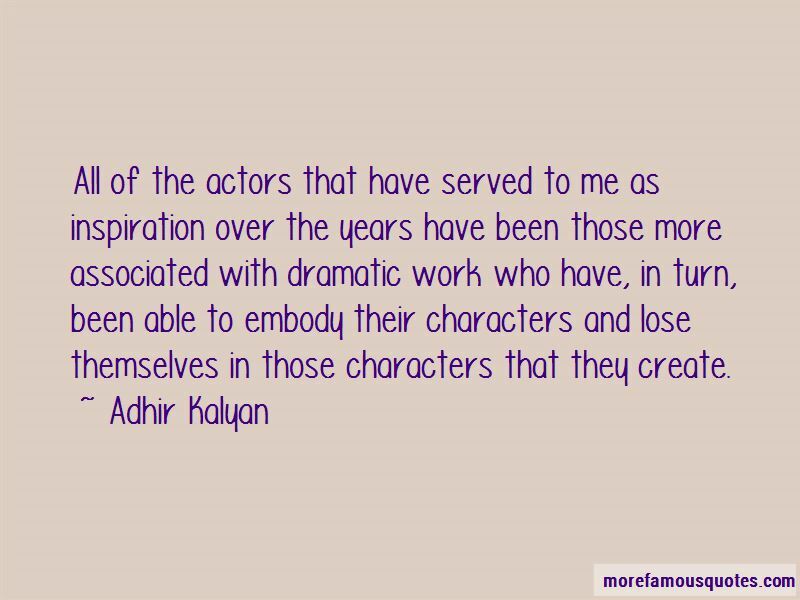 Click on image of Adhir Kalyan quotes to view full size.